The number of active volcanoes this week. The colors indicate normal intensity (green), above normal (yellow) or way above normal (red). At any given time, there is an average of about 20 active volcanoes. 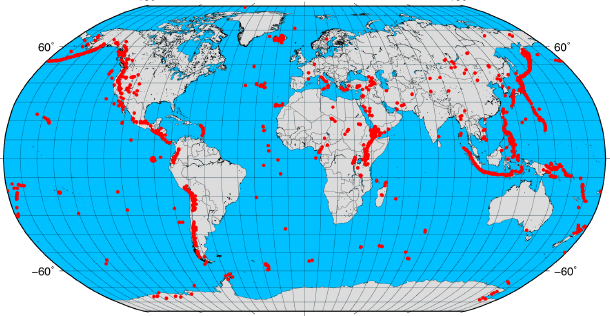 At present, there are about 600 volcanoes that have had known eruptions during recorded history, while about 50-70 volcanoes are active (erupting) each year. This site keeps you informed about the latest volcanic activity worldwide.